When done right, brands can go way beyond a static marketing symbol — they take on a life of their own, and immerse themselves into customers’ psyches. Take the number of people who have had a Nike swoosh (or a BMW logo, or even a Facebook ‘Like’ button) tattooed onto their bodies. Many people out there see their favorite brands as extensions of their own personalities. A startup called Plisten launched last week out of the NewMe Accelerator’s Fall 2012 class wants to let people bring together their favorite brands into one place — on to their mobile phones. 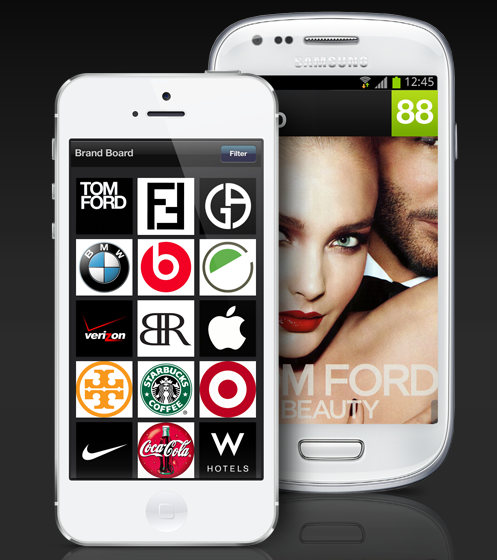 Plisten is creating apps for the iPhone and Android that will let users create “brand boards” of all the brands, products, and services that come into their lives. It’s got a Pinterest vibe, but mobile-centric and only with established corporate logos. There is also a rating function in there as well. I could see this really appealing especially to a wide spectrum of teenagers and young adults — people in the younger set often start to find their places in life and build their identities through the brands they love, whether it’s Nine Inch Nails or Abercrombie & Fitch. It could also take off with people in certain international markets that are currently such a boon to luxury brands. We sat down with Plisten’s founder Randy Mitchell to hear a bit more about the concept as well as the NewMe experience overall. You can watch that interview in the video embedded below. You can also see a longer pitch from Demo Day here.